In addition to the main story, the app also includes a song (with an accompanying video related to the story's ending), a memory match game, and a spot-the-difference game. Each game has five puzzles. 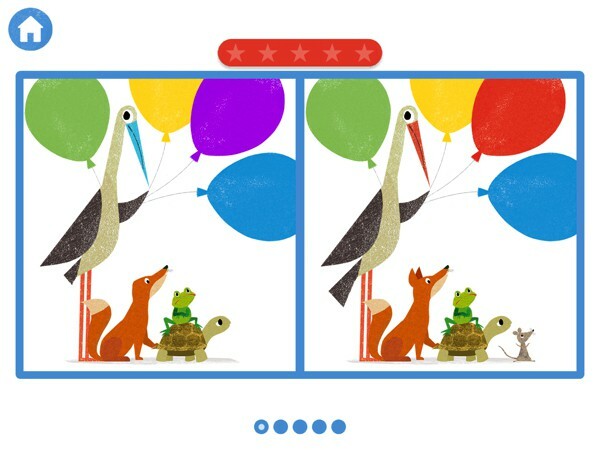 Kids can choose whether they want to read the story, listen to the song, or play the games from the main screen. Parents need to know that Don't Wake Up Tiger is suitable for kids ages three and up. It has no third-party ads and no in-app purchases. No internet connection is required to use the app. At the moment of review, the app is available in English only. Don't Wake Up Tiger is a charming app that takes advantage of the iPad's capability to create a delightful reading experience. Though the story is rather short, it is beautifully illustrated and immersive, with perfectly placed activities to get kids playing along. Your little ones will love stroking Tiger's belly to comfort her, and rocking their device to rock her back to sleep. The song and games, though fairly simple, are also nice to have. If anything, they help extend the app's shelf life after kids have completed the main story. 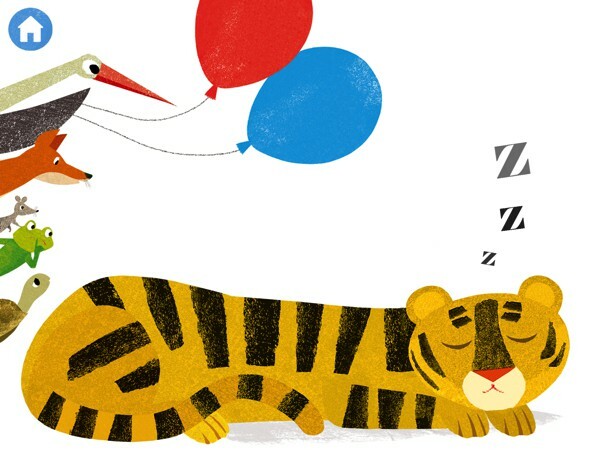 I highly recommend Don't Wake Up Tiger if you are looking for a short and sweet story to read with your kids. This charming app boasts gorgeous illustrations, a cute story, great interactivity, and fun games to enjoy together. Perfect for the very young.